The age-old tale of Boy-Meets-Girl and the complications which ensue intrigue every audience, and no musical puts it on stage better than ANYTHING GOES. 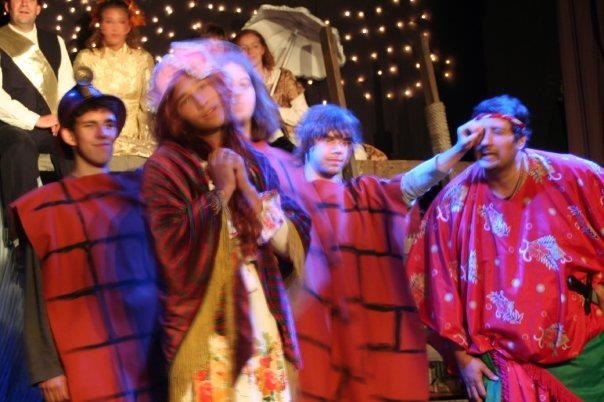 Sailing on the S.S. American are a gangster on the run posing as a minister, a former evangelist who is a nightclub singer, traveling with her are four tap-dancing "Angels", a society miss who is engaged to an English gentleman (also on the ship), and her ex-boyfriend that stows away on the boat to try to win her back. ANYTHING GOES at the boathouse! A series of comical mistaken identities ensues as the passengers and crew sing and dance their way across the Atlantic. This show is an amusing story wrapped around one of Cole Porter's magical scores. Terrific Cole Porter songs include It's De-Lovely, Friendship, I Get A Kick Out Of You, All Through The Night, Anything Goes, You're The Top and Blow, Gabriel, Blow. 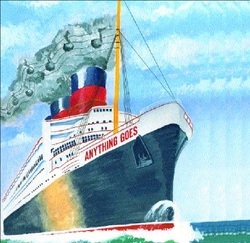 It's a wonder that all the romances are sorted out and disaster is averted aboard the magical ship where ANYTHING GOES! 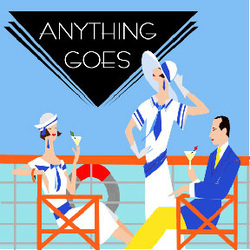 Don't miss ANYTHING GOES at the boathouse!